The long and protracted saga of Dragon Ball Super's journey to the United States has reached its natural conclusion. Over a year after it started airing in Japan, it finally started streaming to fans in the west. In recent weeks Funimation confirmed that it was also being dubbed, although quite where this version would first surface was yet to be revealed. Now it seems we know at last- as Dragon Ball Super is (as some had speculated) coming to Toonami. Many American Dragon Ball fans first encountered the franchise on the Toonami block of Cartoon Network. The revived Toonami now airs on Adult Swim, but Super will still find its natural home there. The series will air starting on January 7th 2017 at 8pm with a repeat showing at 11.30. It will then continue to air every Saturday. Toonami will air the initial 26 episodes, but more will presumably follow assuming it's a success. The dub will see the return of most of the original voice actors including Seán Schemmel, Christopher Sabat and Sonny Strait reprising their best-known roles. 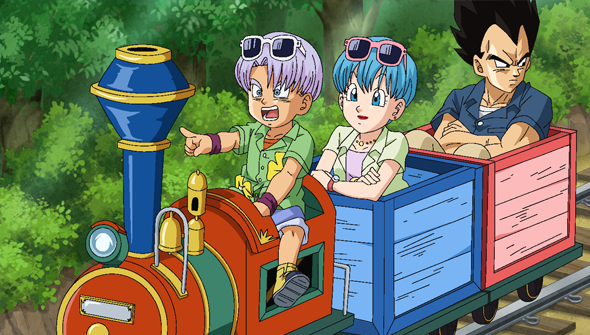 A new Dragon Ball Super website has been launched to accompany the announcement. But that's not the end of the good news for Dragon Ball fans. January 7th will also see Dragon Ball Z Kai: The Final Chapters begin airing on Toonami. Dragon Ball Kai is the remastered and re-edited edition of Dragon Ball Z, and The Final Chapters comprises the new edit- and the new dub- of the infamous Buu Saga. Dragon Ball Z Kai will air on Toonami starting at midnight on January 7th, 2017.